Marie Castle lives in a little town in Mississippi once called Gandsi-Zion for the train stop that ran between the Civil War-era Zion Seminary and the Gulf and Ship Island depot. There she has been known to chase rainbows and, on occasion, her own tail. 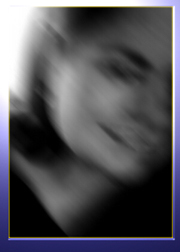 Her blurred profile picture is to illustrate how she sees the world--Marie is legally blind. She feels that this has expanded her creative sight while somewhat complicating her secret desire to become a roller derby diva/brain surgeon. 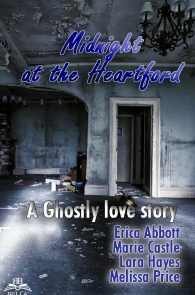 She refuses to let physical limitations stop her from pursuing her dreams and encourages readers to do the same, though she does warn against skating with scalpels in hand. She welcomes Feedback and can be contacted through Facebook and Twitter. You can also find readings from her works on YouTube. 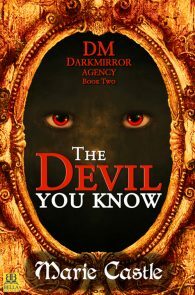 The Devil You Know, Winner, Lesbian Paranormal/Horror. 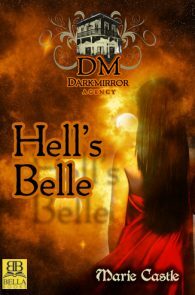 Hell's Belle, Finalist in Lesbian Paranormal, Lesbian Debut Author. Hell's Belle, Finalist, Lesbian Science Fiction/Horror/Paranormal. Hell's Belle, Lavender Certificate for Debut Fiction.